Launch your Stremio desktop app and click on the little gear icon in the upper right corner. This will expand your settings menu. Once you have opened the Settings menu, scroll down until you see a QR code. Keep it open, you will need it in a second. Most phones don’t have a built-in QR code scanner so you will probably need to download one from your app store. There are many free options for you to choose from. Launch the scanner. This step is pretty much self-explanatory. 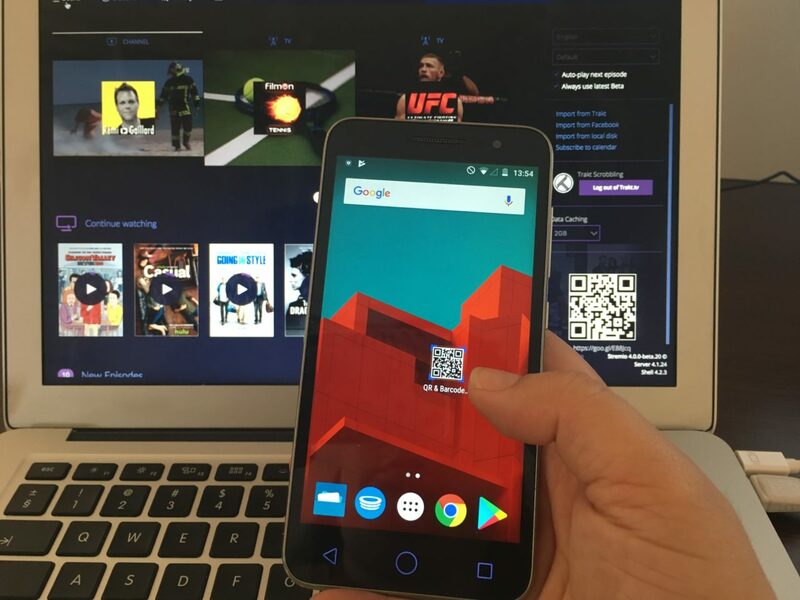 Scan the code from the desktop app with your phone. Once you have scanned the code, you will get a link. Open it and voila – your remote will load straight away! Pretty neat, right? You can now cozy up on the couch and control your Stremio app from a distance. You control the remote by tapping on the icons and by swiping your fingers up/down and left/right. To confirm an operation, simply tap on the purple screen. If you use the search option and you’ve completed your search, simply tap on the magnifying glass icon to go back to the menu. My Stremio Web Remote is not working. Why? 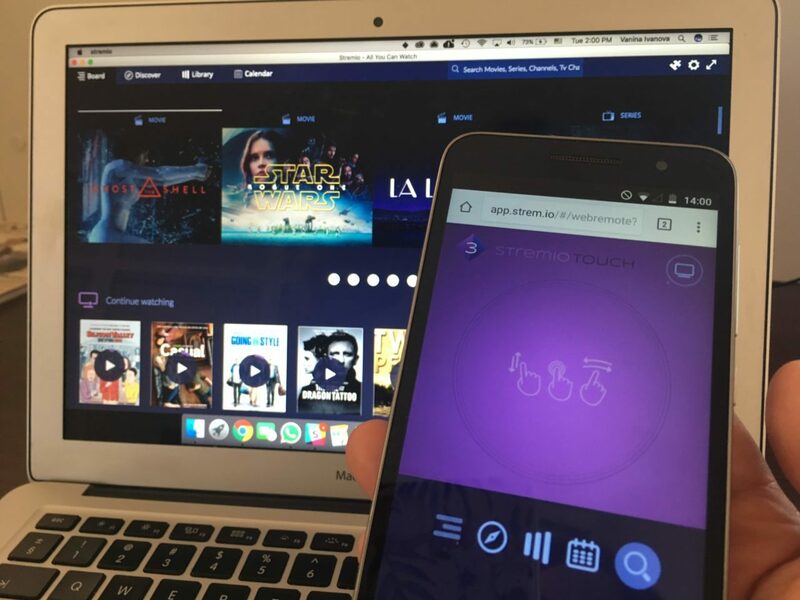 If your remote control is not working, make sure that both your devices are connected to the internet and that they are connected to the same network – in case they are connected to different networks, the Web Remote won’t work. 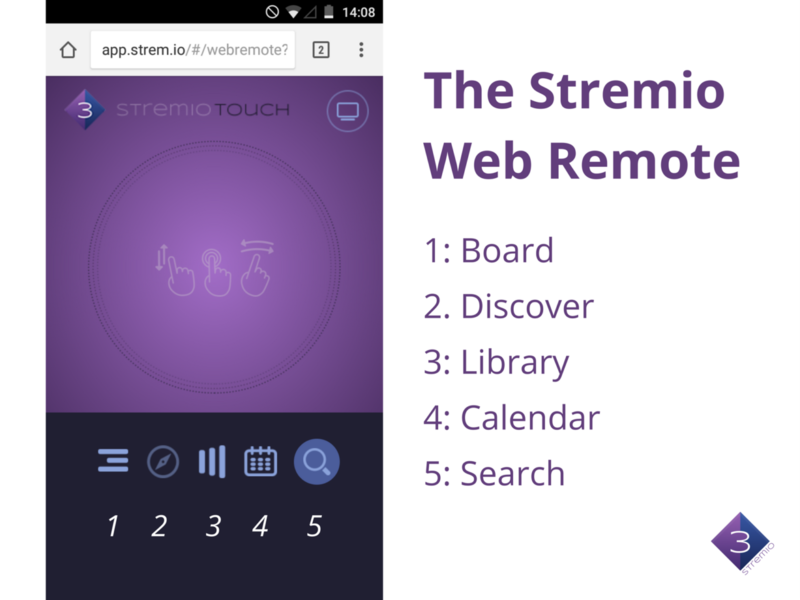 Have you tried the Stremio Web Remote functionality yet? What do you think of it? My Stremio dosen’t have the QR Code. What do I do? Unfortunately it doesn’t work for me… After I scan the QR code, the page appears to be loading for a few seconds and then this message appears: “Web remote could not be loaded”. I run windows 10 on my PC and I got the samsung galaxy s7 edge. Hi Sharkon, please shoot us an email to [email protected]. Thanks! I tried to use the Stremio remote on my iPhone 6S–follow instructions precisely–and it launched, however none of the icons that are supposed to be in the dark section at the bottom actually show up so I can’t actually do anything. Do you have any advice? 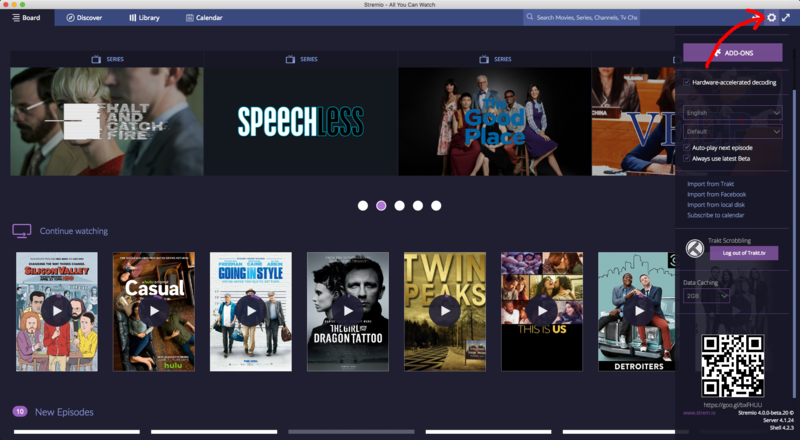 Nice desktop app for the users who want to use their smartphone as a remote control. It also does not work for me. When e load the page it shows the logo loading animation and it stays that way. Hi Pedro, we’re afraid we didn’t quite understand your question. Can you please provide us with more details so we can assist you? 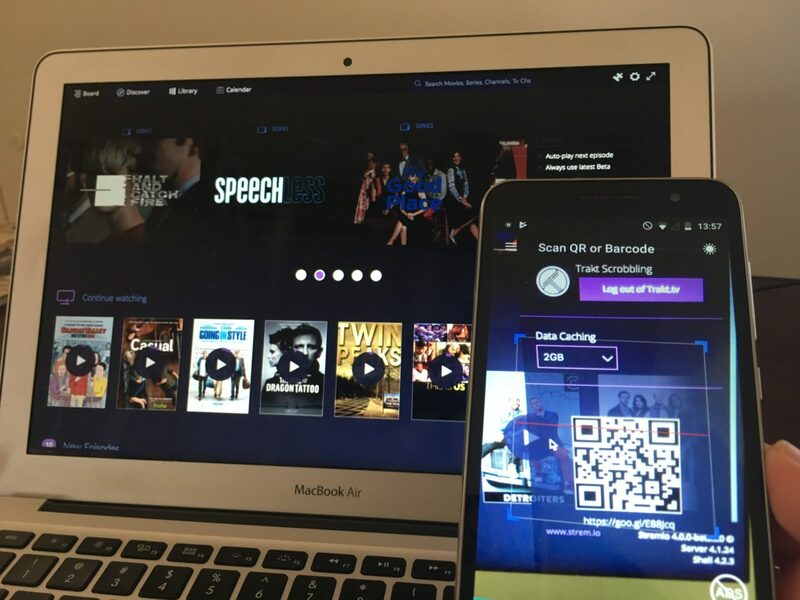 For my Stremio (4.0.29 – Windows 10) app doesn’t show up the QR Code. What can I do? You guys should delete this post. Or get ir to work again, since it was a very nice feature.